It Turned Out To Be FANTASTIC, but…. The class was shaping up to be a disaster, and it was all my fault! I knew exactly what I did wrong and there was no way to salvage the situation. The year was 2008 and I had been teaching for two years. My classes nowadays are quite large with 25 students being the average, but back then I averaged about 6 students per class. the 2008 class was going to be very small… only three students had signed up. As I mentioned, it was all my fault. I had been very busy and waited til the last minute to prepare my postcard mailing launch. I had failed to do sufficient on-line promotion and then, one week before the class, two of the three students had to cancel due to family emergencies.Now I had ONE student!! Many trainers will cancel a class if the minimum number of students don’t sign up, but for me this is an absolute last resort. When a student signs up for my class, he/she is depending on me to deliver. They often plan their vacation around the class and buy non-refundable plane tickets and reserve non-refundable hotel rooms. When I plan a class, it MUST happen. But one student!!! Anyway, I decided to call the student and ask her if she would consider rescheduling the class and receiving a significant discount on the next class. She said she would do that, but begged me to let her come for training. She had taken time off work and had also planned to visit her mother who lived in the area. I told her that I would follow through with the class. I keep my promises. One of the great things about larger classes is that students get to work with a variety of people during break-out sessions. What was I going to do with just ONE student? I called some former students and asked if they could stop by and allow my one student to practice on them. Luckily, they agreed. My student had a wonderful two days and I found that I really enjoyed working with her one-on-one. It gave me the chance to share so much more information and since she was the only student, we concentrated on exactly the techniques she was most interested in. I had so much fun, that I decided I needed to find a way to do this sort of teaching again since it was so successful! Thus was born my hypnosis Mentorship program. What if you could spend two full days with the fastest hypnotist in the world, learning exactly what YOU want to learn? This advanced course will be custom-designed for you! Sean Michael Andrews will work with you one-on-one for two or more days, teaching you everything you need to know about Instant and Rapid Inductions. You will practice these inductions over and over and learn the theory behind them so that you can develop your own inductions that drop people INSTANTLY into trance! Since this is YOUR class, we will work together to design a course that gives you exactly what you want. 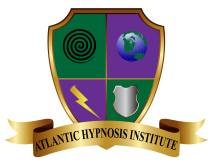 Whether you are an experienced hypnotist or a hobbyist or a complete beginner, you WILL finish this course knowing everything you need to know to perform instant and rapid inductions. This mentorship is not just a dry lecture. It is a complete instant hypnosis boot camp to show you everything you need to know to do these inductions. I will even provide you with practice partners so that you can gain confidence with your inductions. All meals will be included.
. Much more!!! If you want to learn it, I want to teach it! That’s almost $500.00 in bonus DVDs! You also get two personal mentoring calls with Sean -FREE! That’s $300.00 in follow-up mentorship calls! Weather permitting, Sean will take you out to practice street hypnosis! Sean is the acknowledged expert in the field of street hypnosis, and he will take you on a “street mission” to introduce members of the public to hypnosis. This is a regular part of Sean’s Instant and Rapid hypnosis classes and unless the weather is bad or you say “No.”, we are going out on the street to hypnotize strangers! So how much does this personalized, one-on-one two-day mentorship cost? Just $4995.00. AND there is a money back guarantee! To ensure your success, by lunchtime the first day, if for any reason you are not completely satisfied with what you are learning, your entire tuition will be refunded! Email mail Sean at sean@worldsfastesthypnotist.com and we can discuss your goals and whether or not this mentorship is right for you. Are you ready to jump in head-first? Sometimes students are committed. Are you that person? Have you made up your mind the this is the year you become a certified hypnotist? Here’s what I can offer. For an additional $1000.00 per day, you can complete your certification with the National Guild of hypnotists. The days will be long and by the end of the week you will be exhausted, but you will have qualified as a certified hypnotist with the largest hypnosis organization in the world. Give me seven days and I will train you for your new career! Dr. Pietro Randazzo, Ph.D., Psy.D., Th.D., N.M.D., Psicoterapeuta – Psicoenergoanalista – Italia”.